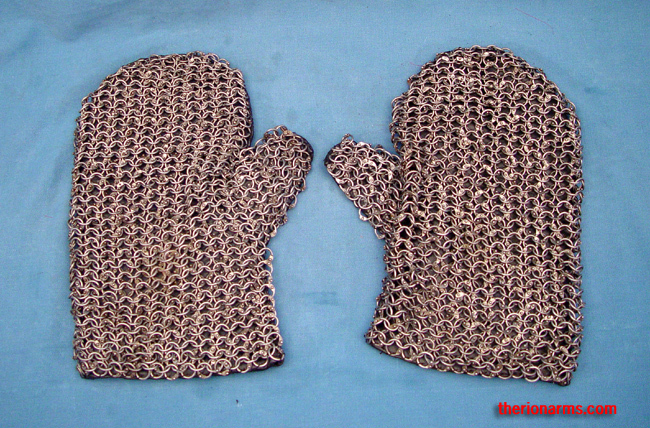 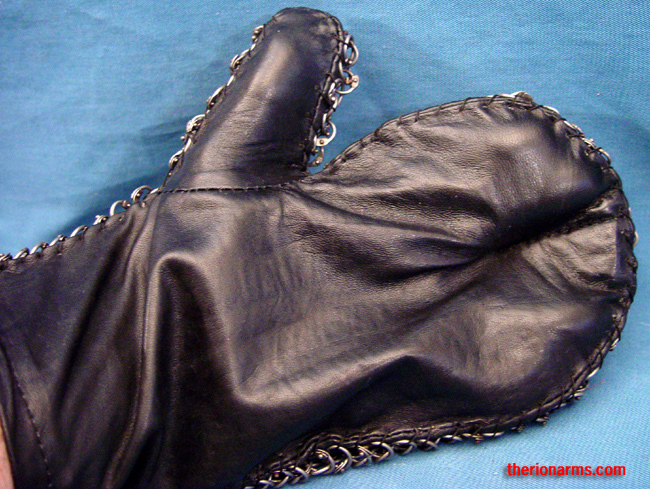 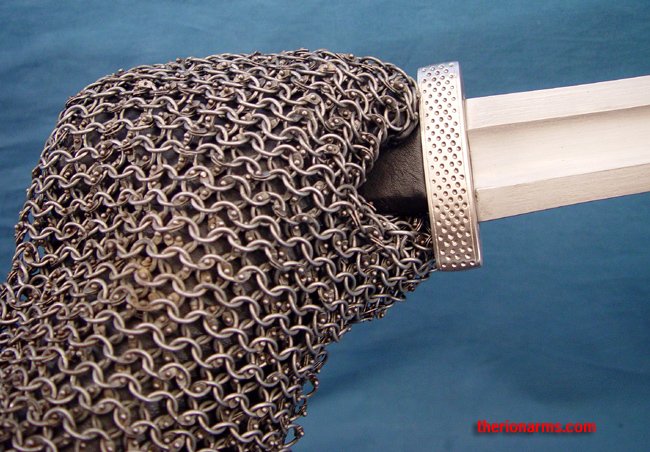 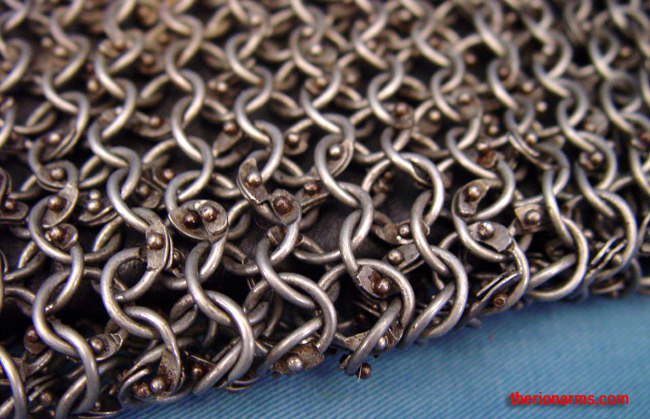 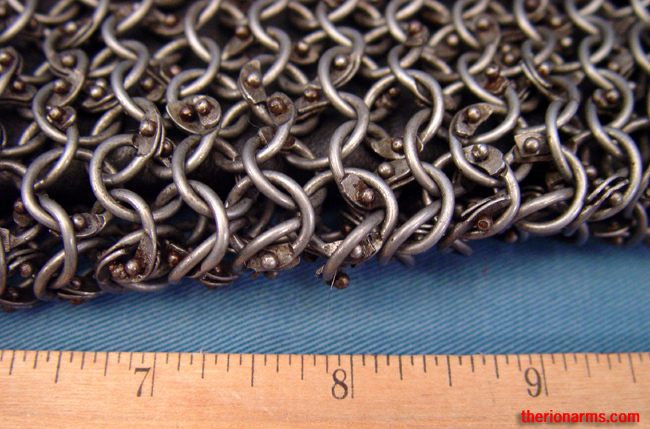 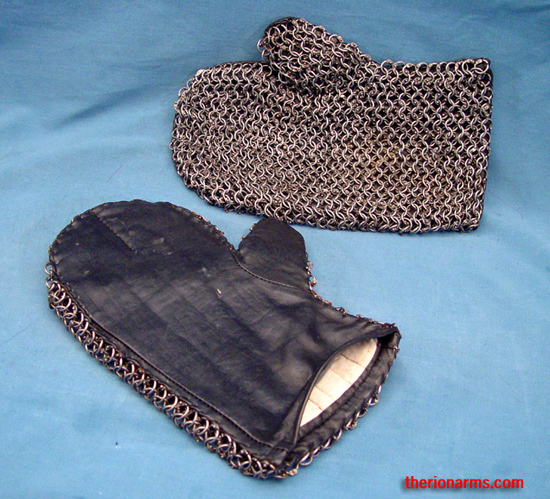 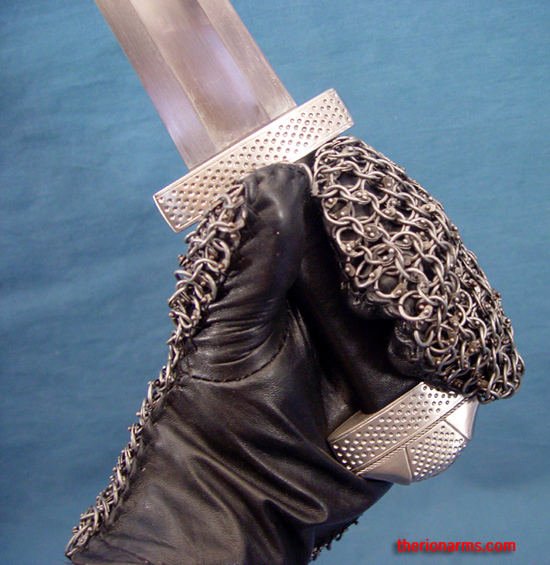 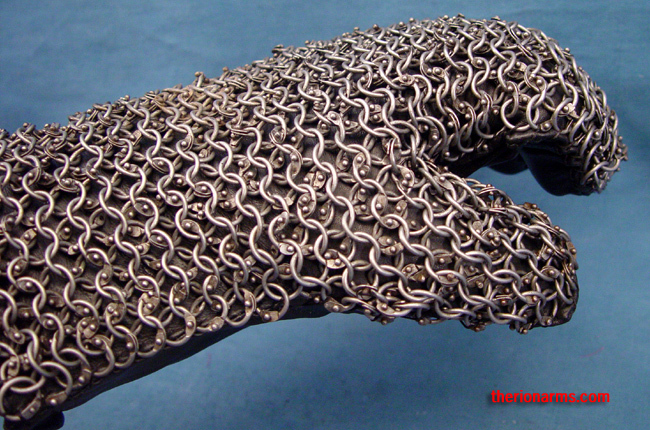 Padded leather mittens backed with dome-riveted maille (or "chain mail", as the unknowing and web search engines call it *sigh*). 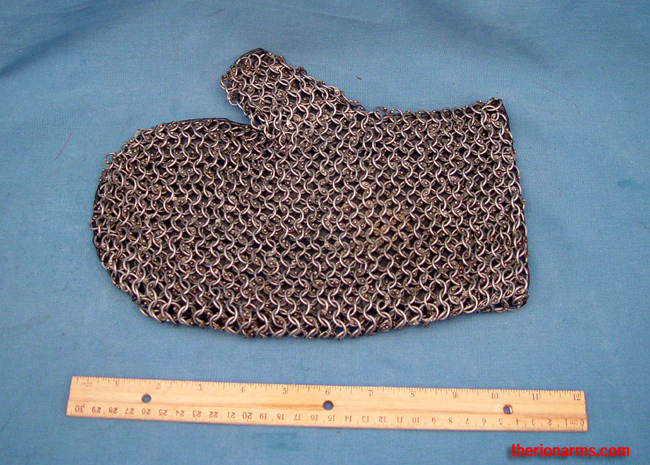 16 gauge mild steel, 8mm internal diameter. 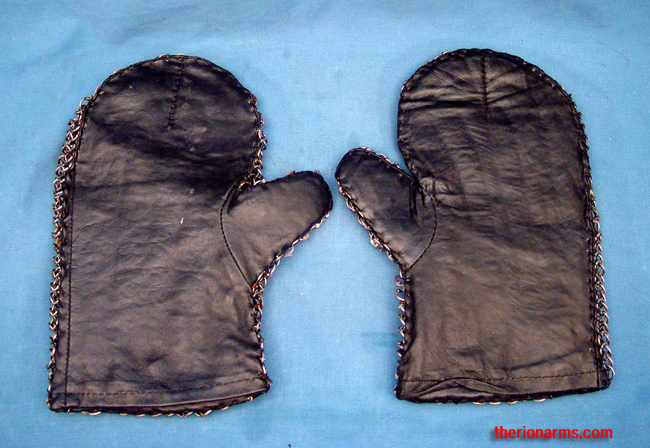 Pads your palms for your weapons and protects the backs of your hands from their weapons ... that's a handy win-win situation.